As a whisky tasting group, we’ve sampled many a sherry matured cask over the years.. however we have not had an evening dedicated to different elements of sherry… until one fine evening in November 2017. And what made each of these distinctive? 1st off the Oban was not your standard familiar friend – the 14 year – no siree! It was instead a 15 year limited edition initially matured in an ex-bourcon cask then a Montilla Fino Cask. Next up was an Amrut Intermediate Sherry purchased some 7 odd years ago and carefully kept. Again a combination of bourbon and sherry… with quite a complex and different character than the Oban. And the Kilkerran? The Campbeltown offering was again Sherry wood… with a peaty element too. None were full force sherry, each had a unique dimension, making our evening a most enjoyable exploration. All had been carefully collected over years by our host… none can be readily obtained today… of if you do, likely not quite the same as what we sampled. 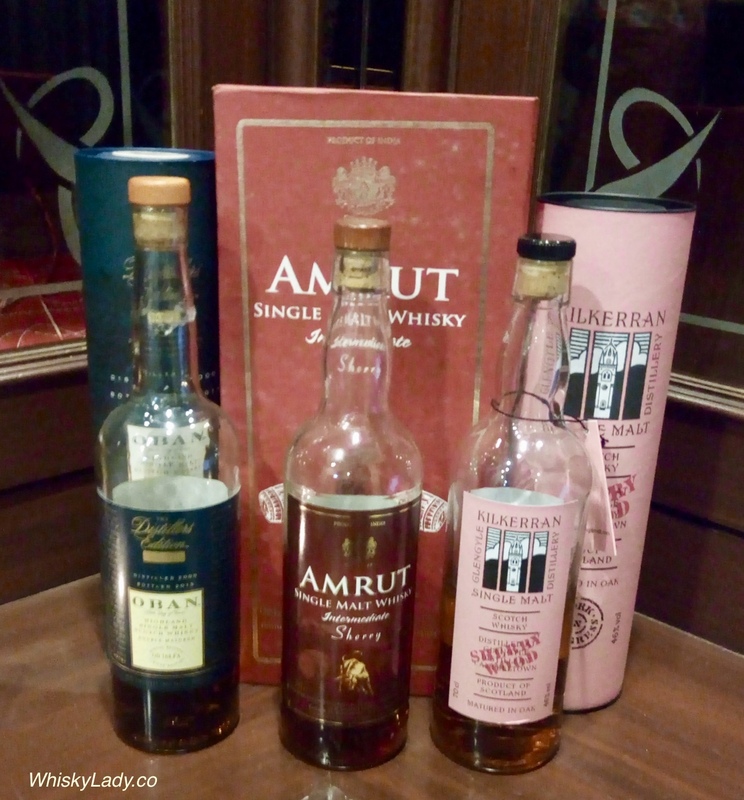 This entry was posted in Beyond Scotland, Campbeltown, Highland, India and tagged Amrut, Kilkerran, Oban by Carissa Hickling. Bookmark the permalink.